When Green Day hit big in 1993 with their third album Dookie, the band's world changed forever when enormous global success replaced the cult following they had enjoyed across the previous six years as part of Southern California's Punk Community. Green Day's next three records, while not matching the huge sales of Dookie, established the group as a truly great American rock band, before their seventh, 2004's American Idiot, took the trio to a whole new level and made world class superstars out of these West Coast punks. 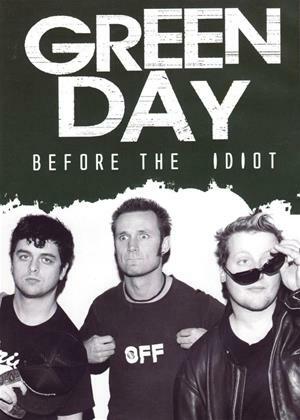 This film follows the progress of Green Day from the day they formed to the eve of American Idiot's release, and in so doing reveals a modern success story that has rarely, if ever, been equaled in the arena of contemporary music. Featuring rare footage, archive interviews, contributions from those who knew the band best and a host of other features, this video is what every Green Day fan has been waiting for; a provocative and telling program that reveals for the first time what it was that turned this bunch of indie scallywags into one of the biggest acts of the third millennium.